Get 20% discount on all Design Resources from MasterBundles. 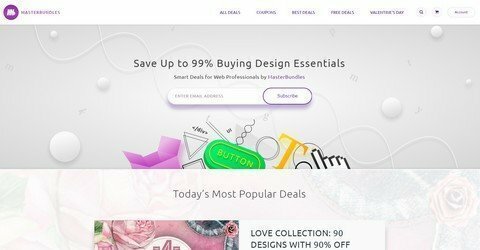 At MasterBundles marketplace you can save up to 90% buying design resources that will definitely make your life easier. Ready-made packs with premium fonts, vector illustrations, WordPress themes can save countless hours you spend on your projects. All readers at WP Daily Coupons get 20% discount on all WordPress themes & bundles from MasterBundles by using the code. No time limit.